Jack White Announces New Giant Tour For New Album!! Good news, everyone. 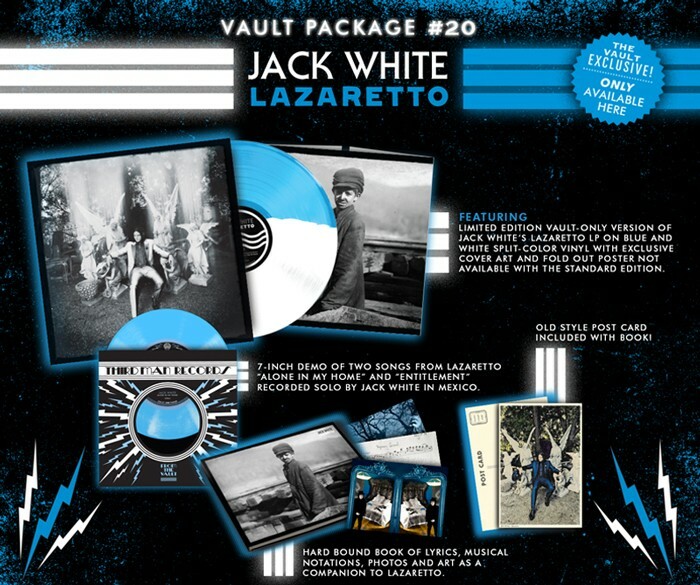 Jack White has announced a big new tour for his new album ‘Lazaretto‘, which will be out June 10th of this year. His last solo album was the amazing ‘Blunderbuss‘, and if you haven’t heard that album yet – please purchase it. You’ll be glad you did. The former ‘White Stripes‘ frontman will be traveling across America and Europe starting on April 19th in Nashville at his own record Store, Third Man Records. How fitting, right? If that isn’t cool enough for you, White will also record, press, and release the title single ‘Lazaretto‘ for fans who are there in person that day on the spot. So you can imagine that will be one sought after single to collect. April 19th happens to be Record Store Day as well. You can listen to one of the tracks right now called ‘High Ball Stepper’ by CLICKING HERE. Below is the full schedule as of now. Enjoy and get your tickets. Jack White Talks ‘White Stripes’!!! Enjoy Jack White’s New Music Video ‘Lazaretto’!! This entry was posted on Tuesday, April 8th, 2014 at 10:02 am	and is filed under Music, News. You can follow any responses to this entry through the RSS 2.0 feed. You can skip to the end and leave a response. Pinging is currently not allowed. « ‘Karate Kid’ Sequel Is Happening with Jaden Smith and Jackie Chan! !